Well hello there, dear sweet readers, and Happy (Almost) New Year! It’s been a long time. Far too long. Though it probably feels far longer to me than it’s actually been. The old saying “the days are long but the years are short” rings distinctively true with a newborn and two toddlers at home! And can I tell you something? I’ve missed you. And I’ve missed this space—this space that has become such a part of me. So today, I’m dusting off the cobwebs accumulating on my laptop and in my sleep-deprived brain and jumping “back on the horse” as they say. And can I tell you something else? It feels awkward to be in this space again. Kind of like when I picked up a tennis racquet after taking time off. It felt clunky and heavy in my hands … so please, bear with me as my words feel clunky and jumbled in my tired mind (and I’ll thank you in advance for the grace you’ll show me as I attempt to write again!). Life has been quite the circus since I last strung words together into sentences in this place … and after much waiting and many false alarms, our precious Anniston Sinclair made her debut on the morning of Friday, September 9th. 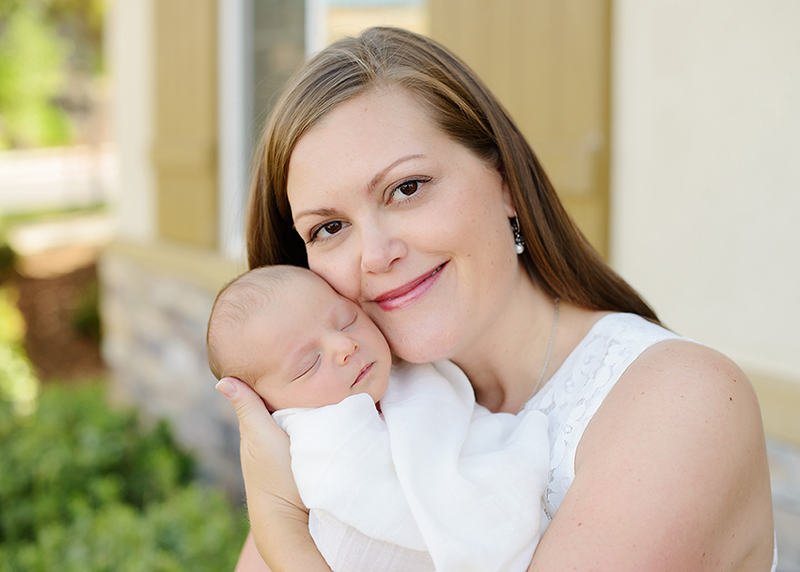 I don’t normally share pictures here, but I can’t resist a sweet one from her newborn photo shoot! Anni’s birth itself was fast and furious. At 3 days overdue, I saw my doctor for my weekly check-in, where an out-of-the-blue high blood pressure reading greeted me. And my doctor, who is typically calm—almost to the point of nonchalance—looked me straight in the eye and told me to go to labor and delivery that night. I could say I was scared and angry and unsure, but the truth? I was so ready to go. After welcoming both my other kiddos before their respective due dates, I found this whole “past due” thing for the birds. So, I went home, had dinner with my family, put my sweet kiddos to bed, finished packing up my hospital bag, and off Aaron and I went. It was late, quiet and still in the world. Driving under the cover of darkness and bold, twinkling stars made me giddy with excitement and anticipation. It gave me time to think and accept all that awaited me. In each labor, I’ve found there was a distinct “moment” in time where I surrendered my mind and my body to the arduous, beautiful, terrifying process of labor. Let’s do this, I thought. Of course, when you show up in any state other than just about to give birth, there’s a whole lot of waiting involved. So, we waited and walked the halls and cracked nervous jokes, and before we knew it, we were settled in. Once my very pregnant body got a taste of Pitocin, it was go time. The result was a maddening cycle of no sleep and false hope. It was a cycle that revealed just how bad I am at waiting. I always imagine myself as a patient person until I’m required to actually practice patience. Waiting is such an important part of the faith walk—kind of annoyingly so! Sometimes, life feels like one long series of various waiting rooms. But truthfully, it’s in those waiting rooms where the good stuff happens: the change and character development and depth of faith that we so desire (but oh, if only it could come more easily, right?). Shortly before Anni’s birth, one of my devotions discussed the importance of naming things in our lives (as written about by John Eldridge). The basic idea being: what we call something has incredible power over how we actually react to it. This principle smacked me upside my highly impatient head, as I realized I kept calling those final pregnancy weeks miserable, frustrating, and ridiculous. Not surprisingly, I went about those days with an attitude reflective of such names. 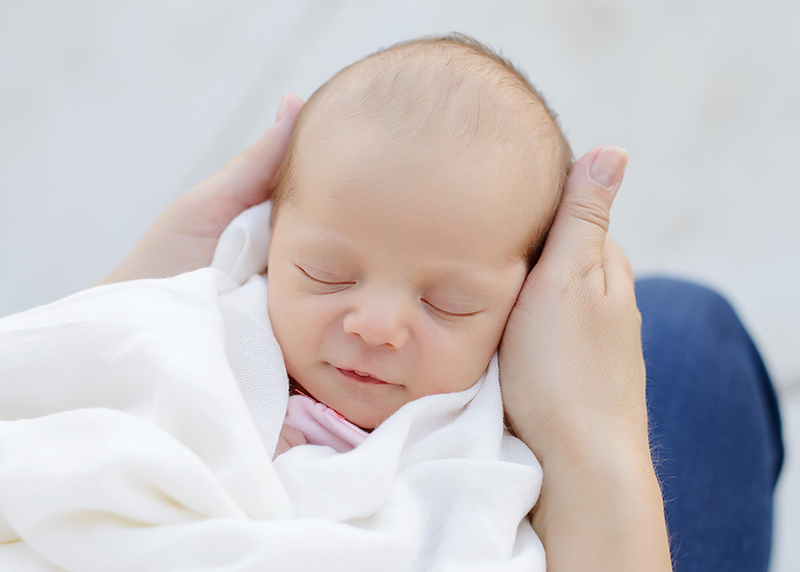 In retrospect, those days were anything but ridiculous—and while I may have been a little miserable and frustrated, in truth those days were sacred, full, and beautiful, as God worked the final stages of the miracle of Anni’s life inside my belly. And in the “fullness of time” (see Galatians 4:4), she was born, and just like that, the waiting was over … and I learned a valuable lesson in the power of naming and its ability to shape my entire outlook (one I’m still working on incorporating!). What about you—how have you characterized difficult seasons of waiting? What names have you given those seasons? I hope you’ve been better than I’ve been … but even if not, rest assured that grace, grace, and more grace abounds to us all in Him! We just celebrated Christmas, the joyous birth of our Savior. And if we learned anything in this season of Advent, it’s that He was beyond well worth the wait. I can only imagine the choice names Mary could have bestowed upon her circumstances as she awaited the birth of God’s Son . . . but scripture indicates that Mary was a young woman of mature faith who treasured up all these things and pondered them in her heart (Luke 2:19 NIV). May the same be said of you and me! As we move into this new year, I challenge you—as I challenge myself—to begin paying attention to how you name circumstances in your life. May we resolve to view our lives through the lens of His sustaining grace, sufficiency, and loving sovereignty, no matter what waiting room in which we find ourselves. Another great post–and welcome back!! Welcome back! I have missed you sweet and often challenging (in such a good way!) sharing. God gave us responsibility for naming at the very beginning. I have long connected it to the classifying of scientists. Perhaps that was intended as a basic starting point meant to pull us into the kibd if naming you discuss. This also reminds me of my swim coach who would tell us to take a break (wait) & while we did so to practice something. The what and how of waiting! Thank you so much! You know, that is such a neat connection, of how God tasked Adam with naming all creatures–I hadn’t made that connection, but how powerful! Blessings to you! Welcome back sista, you were missed! I do get a dose of the darling kiddos through your facebook updates. Happy New Year to you and your family and look forward to your blogging! Thank you so much, sweet sista! Happy New Year to you and your family too, and I look forward to reading what God puts on your heart this year!